Formula One is synonim of adrenaline and speed but it has a history of injuries and death too. Thirty five drivers have lost their lives doing what they love the most. Roland Ratzenberger crashed at over 190mph. He had damaged the wing on the previous lap but had decided to continue. The day after, Ayrton Senna died when his car lammed into a concrete wall at around 135mph. Ironically, officials found an Austrian flag which, had he won, Senna would have raised in honour of Ratzenberger. Twenty years has past since that fatal weekend at San Marino. This year over the four days of Imola circuit an exhibition to homeage and remember these two pilots will be open to public. Yes, Formula 1 is a dangerous sport but isn’t life dangerous too? Seven times a champion, Michael Schumacher is still in comma after a skiing accident last December. Thankfully, some weeks ago his manager Sabine Kehm said he is starting to “show signs of consciousness and awakening”. I really hope he would make it. The lesson to remember is that it doesn’t matter what you are up to or what your plans are…enjoy each second! Life is a race too. But you will never know your remaining laps. Don’t miss the chance to visit Circuit Catalunya. Last apartments here. 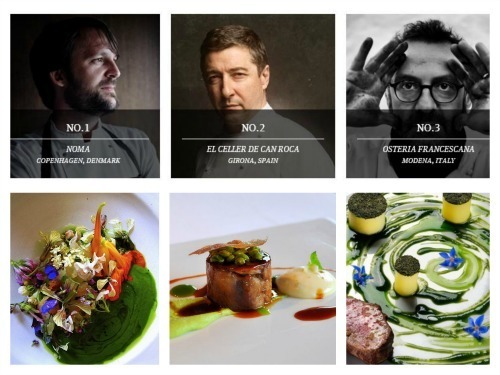 April is a great month to visit Catalunya for many reasons. It embraced the spring; the city turns into a beutiful palette of greens and pastels; the atmosphere is full of culture, literature and love. This is Sant Jordi, the equivalent to Valentine’s Day. Maybe you already know that the 23rd April is considered the World Book Day as the world lost two of the most important poets and playwrights on April 1616: Miguel de Cervantes Saavedra and William Shakespeare. But Sant Jordi goes beyond that. 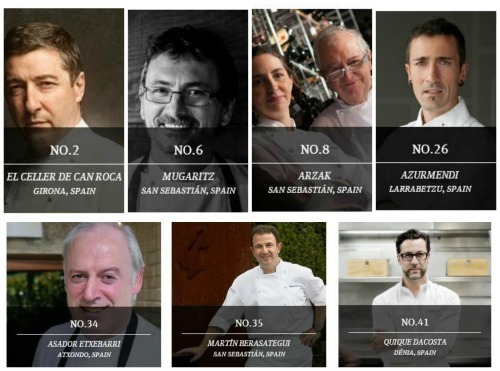 In Barcelona and all over Catalunya this day becomes an especially romantic festivity. The tradition comes from the famous legend of St George killing the dragon to save the beautiful princess from been offered in sacrifice to the beast. It is said that from the pool of red blood coming from the dragon’s heart the most beautiful roses sprouted. There are many versions of this story though. 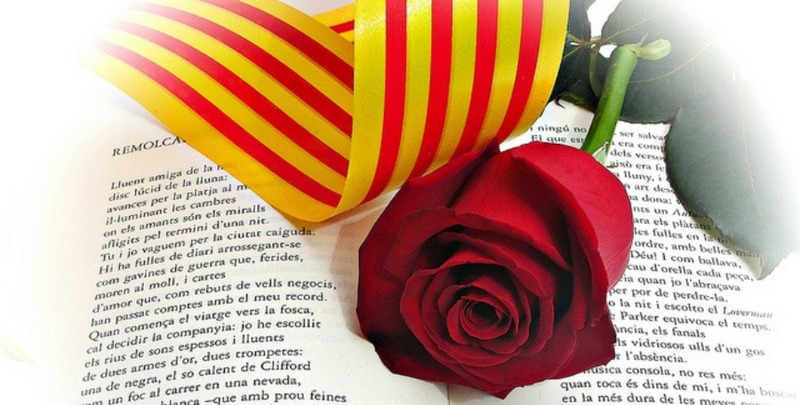 Today couples exchange gifts on Sant Jordi: a book for the men and a rose for the women. You will find book and flower stalls everywhere. Books signature: Important writers will be signing your books at FNAC Arenas Mall, FabricaMoritz and Fábrica Damm. There will be more signature listings as the day comes for sure. Plaza Sant Jaume: The Chapel of Sant Jordi and the Government Palace open their doors to visitors. Las Ramblas: It is full of flower stalls all over the year but on Sant Jordi every square meter is filled with flowers, books and artists but if you dislike crowds you might prefer heading somewhere else. Rambla Catalunya: More of the same, couples, roses and books. Rambla del Raval: You will find flower and books stalls too, but since it is an open space, you will walk freely and may be able to choose a restaurant to enjoy a romantic lunch with no hassle. If you are planning a love retreat, your anniversary or your honey moon during this month, Barcelona is your destination for sure. We will make all the arrangements to fill your atmosphere with love. The fifth round of the 2014 season, Circuit Catalunya, is fast-approaching! In few days Montmeló, Barcelona will become the meeting point of the world’s best drivers and speed lovers. Last year I had the great opportunity to enjoy this exciting competition. Nothing matches the adrenaline rush on this motorsport event. Believe me, listening to Formula 1 will leave you breathless – and deaf for a day if you don’t use appropriate ear plugs (experience talking!). Outstanding in every sense each lap is a battle for victory but two of my favorite parts are cornering and the pit lane. Both are the key between making it to the podium or not. For those – like me – that didn’t know, Formula One drivers are some of the most highly conditioned athletes on earth. If you think about it, it’s obvious. Driver’s neck must support the weight of both the head and helmet under intense loadings. These cornering forces cannot be easily simulated by conventional gym equipment so, many drivers train using specially designed equipment that enable them to specifically develop the muscles they will need to resist cornering forces. Powerful arm muscles are also required to enable the car to be controlled during longer races. Drivers get most of the attention during the race but in the pit lane the success lays on the team. Changing a car’s tyre is a perfect choreography that can be over in less than three seconds. Amazing! Maybe you are an adrenaline adict. Perhaps you are just planning your next holidays or you are part of the lucky ones that will be doing business in Barcelona during these days. Either way Circuit Catalunya is a great opportunity to live a unique experience at one of the world’s most important competitions: Formula One. Hurry up! Reserve one of our last apartments here.